The money deducted from mutuel pools before the remaining funds are returned to the bettors as payouts. Typically it's split between the state, the racetrack, and the horse owners. Tote betting, also known as pool betting, is a form of betting where odds are not fixed once a bet is placed. Instead, payouts are determined by the size of the betting pool and the number of winning bets placed in that pool. A breed of English racehorse created by interbreeding imported Oriental stallions with English mares in the 17th and 18th centuries. Thoroughbreds are the breed of choice for flat racing throughout the world. On a race track, a pole that marks three-eighths of a mile, or three furlongs, from the start. The sign language that bookmakers use to communicate. An individual or company that provides hints or tips about the likely outcome of an event or race. A prediction of what the odds for each selection will be when betting opens. A strip of cloth or rubber used to prevent a horse's tongue from sliding over the bit. Also known as a tote board, a system that runs parimutuel betting (also known as pool or tote betting). It calculates and displays payoff odds and produces tickets based on incoming bets. A body that administers parimutuel betting (also known as tote or pool betting). It collects stakes and distributes the pool among bet winners, deducting a fee from each pool for its services. Also known as parimutel or pool betting, tote betting is a type of betting in which all stakes for a particular market are pooled and then distributed among bet winners. It's administered by a tote. The common term for a totalisator, which is a system that runs parimutuel betting (also known as pool or tote betting). It calculates and lists payoff odds and produces tickets based on incoming bets. A tote bet in which you pick a horse you think will place in a race. Previously referred to as the Trio, a tote bet you win by selecting the horses that will come first, second and third in a race, in the correct order. A tote bet you win by picking the winners of each of six consecutive races. A tote bet in which you win by picking horses that place in races 3 to 6 in the daily Quadpot races in the UK. A tote bet you win by picking two horses that place first, second, or third, in any order, in a race. This gives you three chances to win - the two horses may place first and second, first and third, or second and third. A tote bet in which you pick the horse you think will win a race. The only British bookmaker currently authorized to offer pari-mutuel betting (also called pool or tote betting) on horse racing. 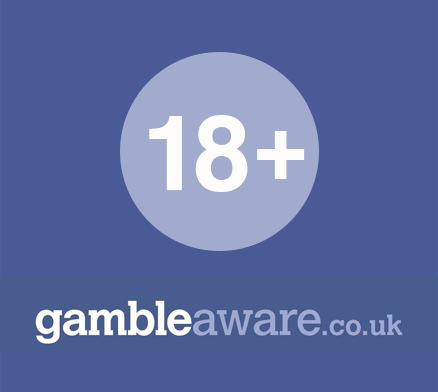 Other bookmakers offer a tote service through syndication or using the same terms. The fastest time recorded for a certain distance at a particular track. In betting, a transaction that involves placing a lay bet and a back bet on a single selection. See trading for more information. Trading is a betting technique that involves placing a lay bet and a back bet on a single selection, to guarantee a profit or reduce potential losses. A treble is a type of multiple bet that involves betting on three selections, in three separate events. All three selections must win for the bet to yield a return. A qualifying or preliminary race. Tricast betting is offered on horse and greyhound racing. A tricast bet predicts the winner, runner-up and 3rd place finisher in a race in the correct order. This is also known as a straight tricast bet. A bet on which selections will finish first, second, and third, in the correct order. In racing, it's typically offered on handicap races with a minimum of eight declared runners and at least six actual runners. It's also commonly called a tricast bet. The progress of a horse during a race, including any issues that are encountered. Winning the three most prestigious or significant events in a given field during the course of a single season. A Trixie is a wager on three selections, consisting of four bets - three doubles and a treble. A minimum of two selections must win for a return. Odds that represent the actual probability of winning. Abbreviation for top speed - the highest speed that a competitor has achieved. A racecourse with grass cover.